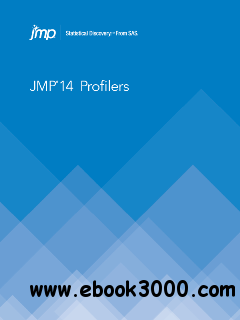 JMP 14 Profilers covers the family of interactive profiling tools, which enable you to view cross-sections of any response surface. The book also includes details about plotting points and surfaces in a three-dimensional graph. SAS provides a complete selection of books and electronic products that help customers use SAS software to its fullest potential. Books and products cover a wide spectrum of topics, and all are developed and reviewed by technical experts. SAS meets the information needs of new and experienced users with a variety of delivery methods including PDF, HTML, and electronic and hard copy books. Partnerships with authors, other publishers, and distributors ensure that a variety of products are available from a variety of sources to meet the needs of users worldwide.